Castles with three-story skulls adorning the portcullis are few. In fact, there may have only ever been one, and it was torn down in 2007. 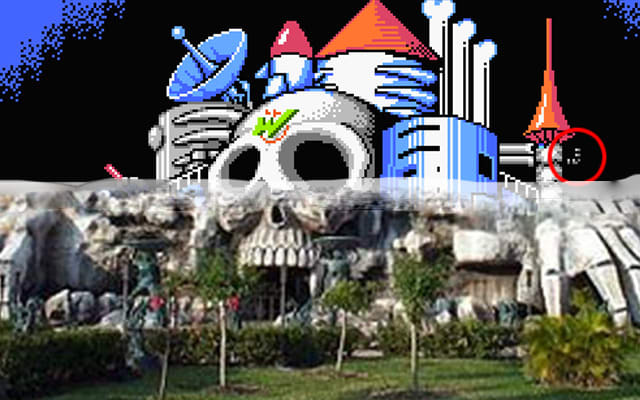 Skull Castle was a failed haunted house in Orlando, Florida that offered thrill-seekers all the terror of being inside a skeleton with five times the property tax. Dr. Wily must have found a prime piece of real estate to keep his castle around for so many Mega Man iterations, and to afford robotic dragons, tanks, and an unreal collection of ladders. And, like Skull Castle, gamers haven’t seen hide or hair of Dr. Wily or his fortress for some years now, and landlord Capcom refuses to relent.